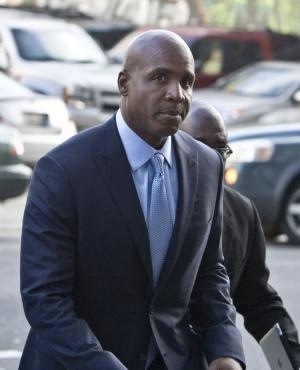 Former MLB Slugger, and all time home run champ Barry Bonds received his sentencing today after being convicted of obstruction of justice back in April. Bonds received a sentence of 30 days of house arrest followed by two years of probation. I’m sure Bonds really learned his lesson this time. It must be really tough to have to live in a mansion for thirty days. Our government spent millions of our tax-paid dollars to prosecute Bonds and the end result is a millionaire gets to continue to live his luxury lifestyle from the comfort of his own home. Americans complain every day about taxes being too high, and our country being in a depression. Meanwhile our government continues the unnecessary spending just to attempt to prove a point. Imagine if we stopped the ridiculous spending like this? I’m sure the next guy that gets called to the stand will be 100% truthful in fear of paying the consequences Bonds paid. This entry was posted in Everything Else and tagged bonds, mlb, Steroids, trial by davecouture. Bookmark the permalink.